This episode, we get all sooky-lala. A terms the Aussies will understand! Actually, we’re talking about SOOCs. When you shoot straight out of the camera. 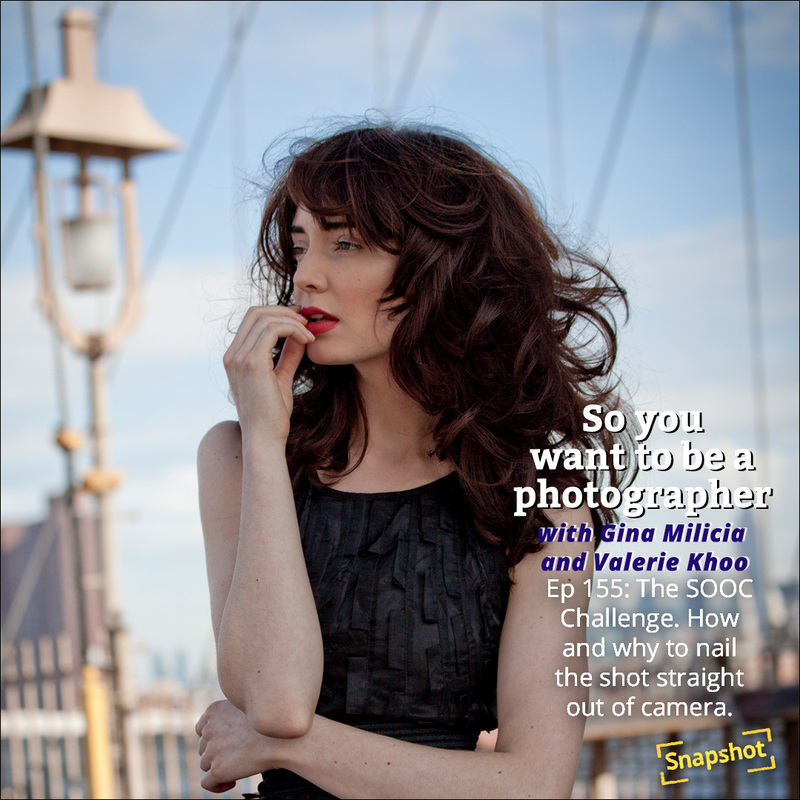 Gina and Valerie talk about why it’s great to master the SOOC, how this saves you time and gives you a better result. Stop thinking, “Oh, I’ll fix it in post”, these tips will get you snapping great shots straight out of the camera. Having an idea in your mind’s eye of how you want your image to look will help you capture the shot you want rather than randomly pointing your camera at something and hoping the photography gods will bless you with an image. Once you know what you’re going to shoot take a few moments to compose your image. Ever taken what you thought was the shot of the year only to have your heartbroken when you have a close look at the files the next day and realise your image is soft? Most LCD screens allow you to zoom right in on an image to check focus. Before you commit to a shot always check focus by zooming in on the eye area of your shot. You can find more tips on focusing here. If you have a choice between a great location with bad light or a poor location with great light, always pick great light over location. Light is everything in an image. Nothing else matters. Spend the few extra minutes to move your model to better light, move your light or add a light. You won’t regret it. Garbage in the back of your shot or pole growing out of the back of someone’s head.